This badge was issued to Suprabhat Das on 29 Aug 2018. This badge earner has a good understanding of why data science, artificial intelligence (AI) and machine learning are revolutionizing the way people do business and research around the world. They have general knowledge on what data science is today. 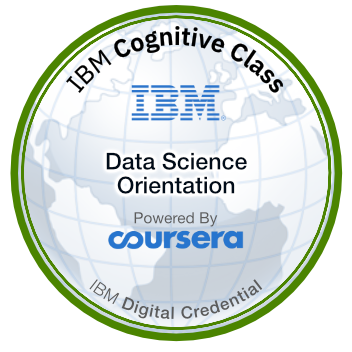 Complete the Coursera course "What is Data Science? ".